Final thoughts – Nissan e-NV200 Combi – HubNut – celebrating the average! If you’ve read the Roadtrip tale, you could be forgiven for thinking that EVs still have no place on our roads. Surely the pitiful range makes them truly hopeless? No. It really doesn’t. This post is going to (mostly) focus on the positives, of which there are many. 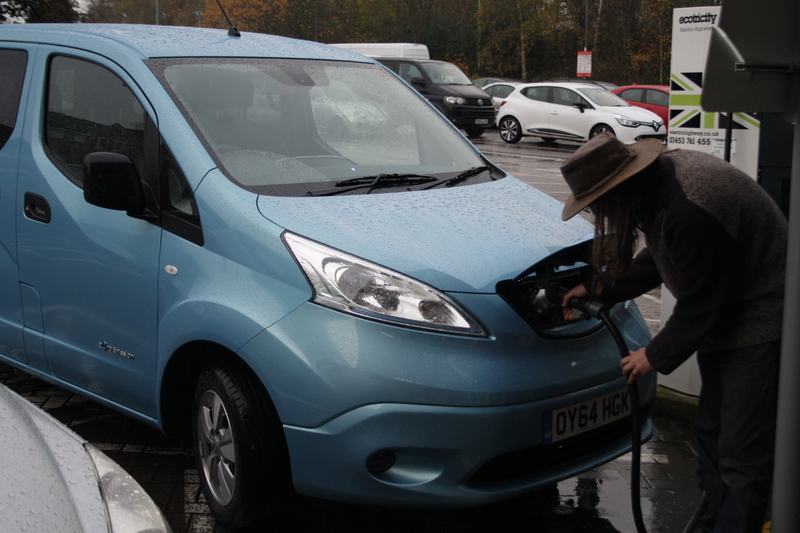 I had the e-NV200 for a week, and it was used every day. It did shopping runs. 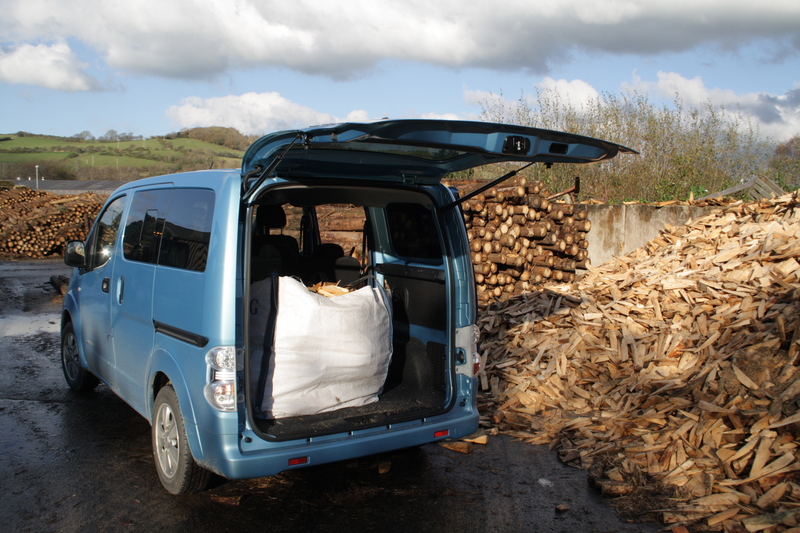 It hauled several hundred kilograms of wood for our stove. It transported friends to events in town. In short, I used it for all the stuff I’d use a normal car for. And for that, it’s absolutely sublime. Creeping around towns, the only issue is that pedestrians don’t hear you coming – even though electric Nissans have a gentle warning beep when speed is below 16mph. The manual gearbox is not a great thing to have in a town, but the smooth power of an electric motor is absolutely perfect. 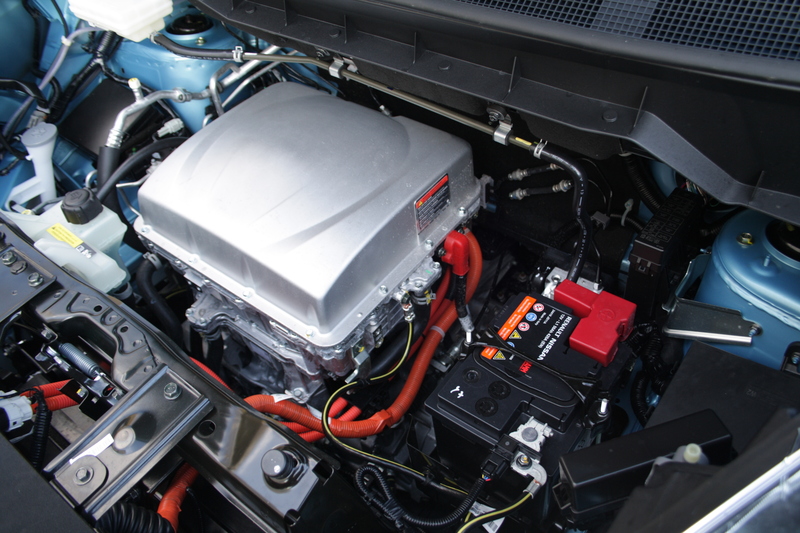 Power usage is low, due to the speeds involved, and you can easily control your speed by using the regenerative braking. It feels much better than an automatic, as some can leave you feeling like you’re fighting the power of the car with the brakes. It all feels far more controlled. The sheer silence means you are suddenly even more aware of the traffic around you. You can hear cars coming before you see them! Though this may not be the case if everyone was driving EVs. One thing both myself and Rachel disliked was the level of tint on the rear windows. That made rear passengers feel like they were sitting in a cave. It was very gloomy back there! It also compromised your visibility. I see no need for such a heavy tint other than vanity. The ride must come in for some criticism too. It’s difficult to make a vehicle ride well empty that can then take 700kg of payload, but the result here is certainly a ride that can be quite choppy at times. All the more disappointing because the LEAF is one of the best-riding modern cars I’ve ever driven. It’s some way ahead of a Tesla Model S to be honest. Overall though, the e-NV200 Combi is a very easy vehicle to drive – if one crying out for a slightly more interesting name. You really can just jump in and drive. While the silence is eery, it behaves just like any other automatic but with the smoothest kickdown you’ll ever encounter. I did find that I drove it more gently than the LEAF – I was hooning around in Nissan’s electric hatchback just like I would a normal car – but I think that’s because the e-NV200 is a van, and I often drive van-based minibuses. I can’t drive those like I drive a car! The passengers would complain. Sure, it isn’t the vehicle for long trips – but I have at least tested that aspect so I can make an educated report on it. For the majority of my driving, even in rural mid-Wales, being able to cover 60 miles a charge is more than enough. You can get chargers installed at home that improve charging time too – taking it down to around four hours. This quickly becomes second-nature. Easier than petrol! I have to hand it to Nissan though. They really are very good at making electric vehicles that work very well indeed. There are compromises for sure, but they have far less impact than you might think, and it’s not like petrol and diesel are without fault! If you want a hugely practical electric vehicle, there is currently no real alternative – which is fine, as the e-NV200 is more than up to the job.